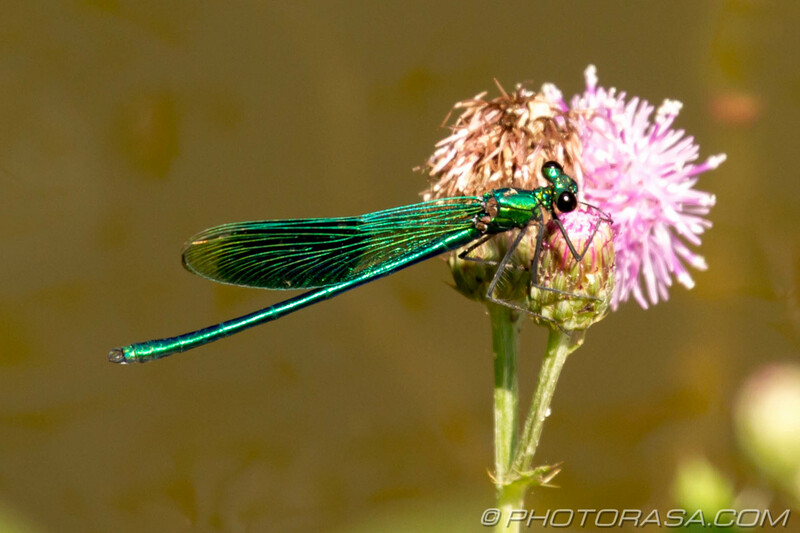 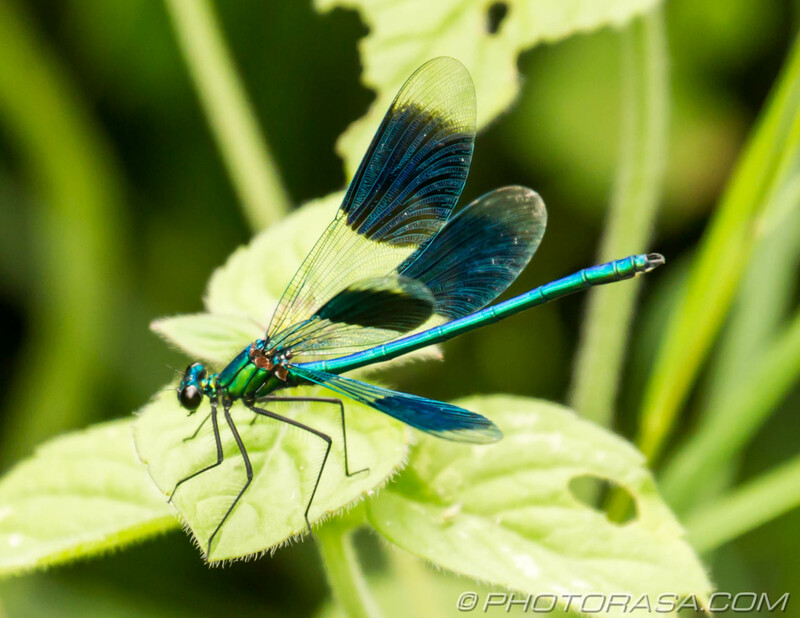 Damselflies are medium to large sized flying insects with large wings and long bodies. 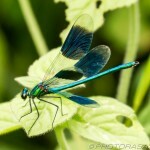 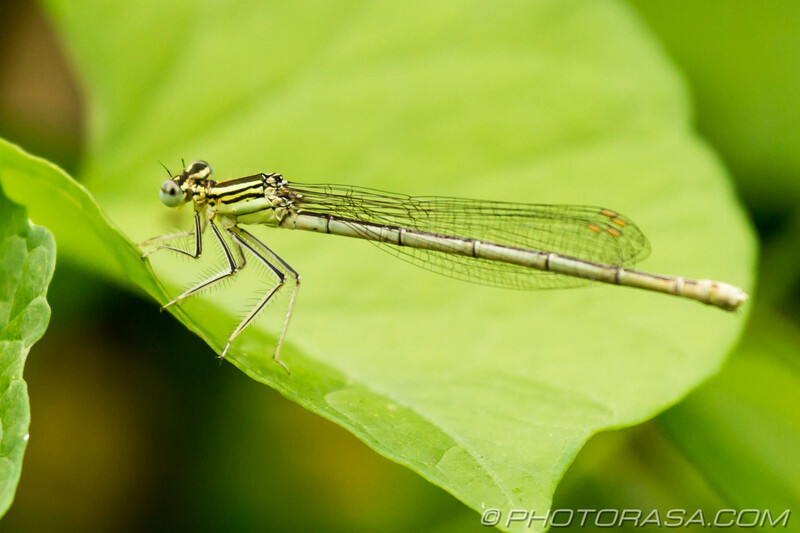 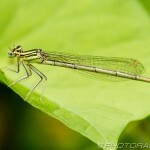 In scientific classification they are placed in the suborder Zygoptera in the order Odonata. 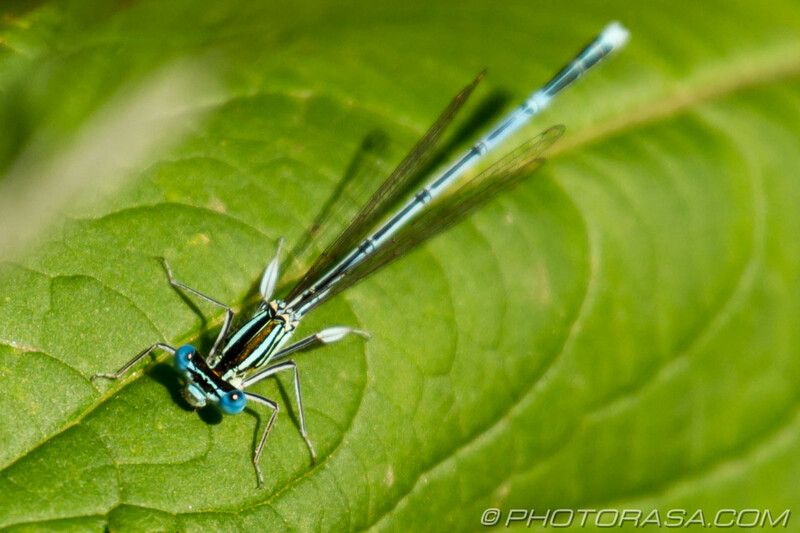 Damselflies are very similar to dragonflies, sharing the same order and also a similar physical appearance. 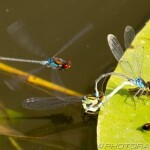 Dragonflies, on the other hand, are usually larger and have fatter bodies. 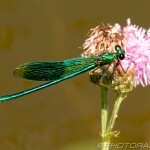 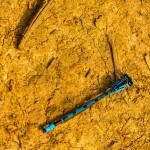 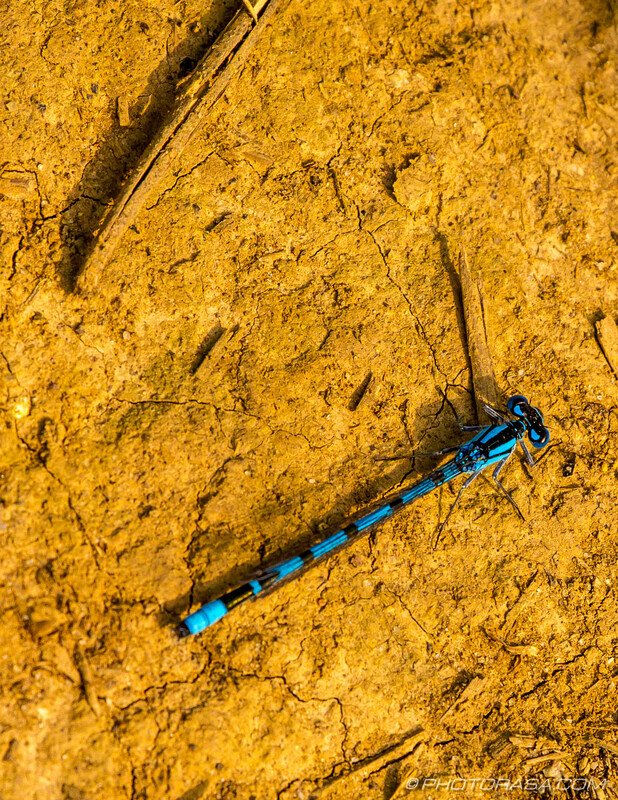 The damselfly is often very brightly coloured. 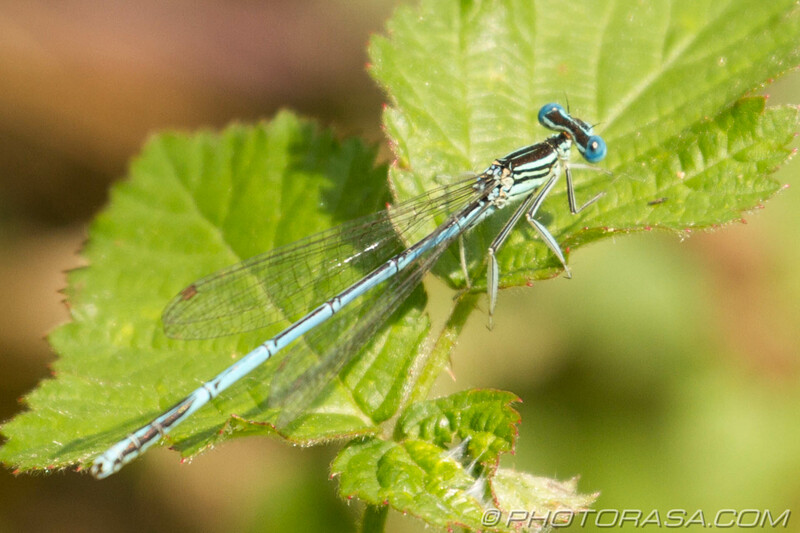 The azure damselfly for example is named quite appropriately with its features coloured with a dazzling and beautiful sky blue. 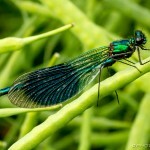 Many species are sexually dimorphic, with the male being much more brightly coloured and distinctive than the more demure looking female. 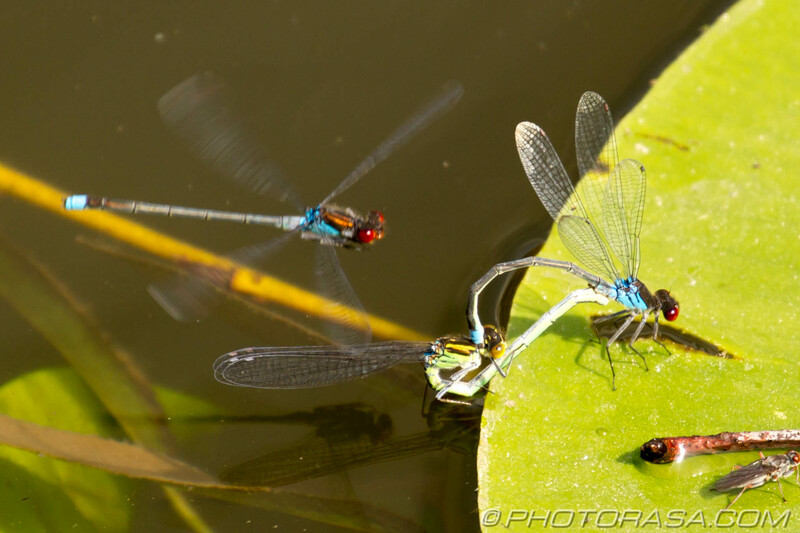 The male will show off his colors and his physical prowess in front of a potential female mate in an elaborate courtship ritual. 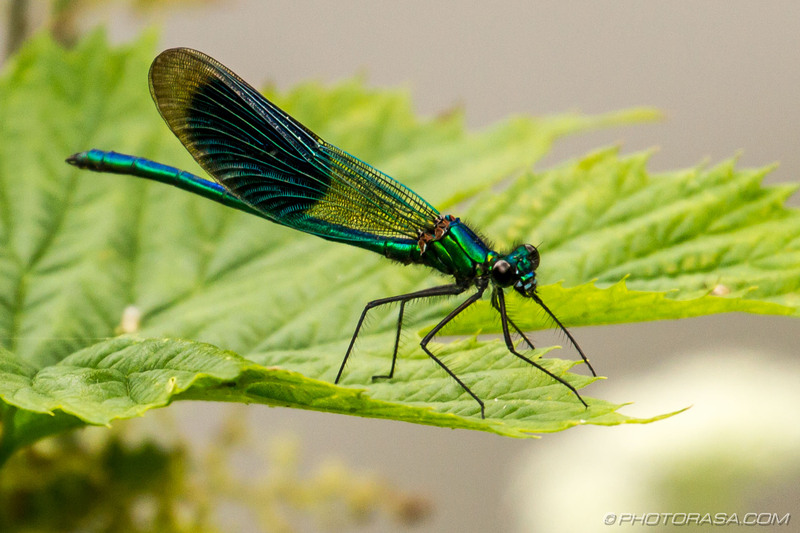 The river jewel wing, for example, will demonstrate his flying prowess in front of a female before raising his abdomen and showing off the white spots under his wings. 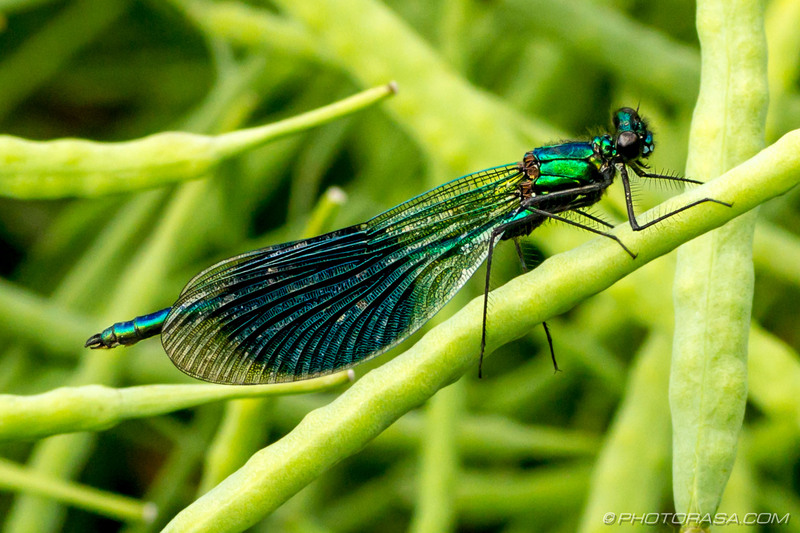 Damselflies colonies can be found across all the continents of the world except Antarctica. 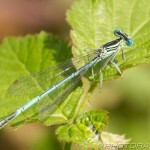 They will always be located on or near inland freshwater areas because they need water to breed. 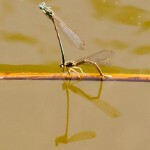 The immature, nymph form of the dragonfly is flightless and lives in aquatic environments such as ponds, lakes and rivers. 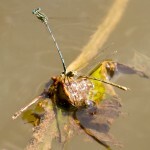 It undergoes several growth spurts and moults repeatedly before finally emerging from the water. 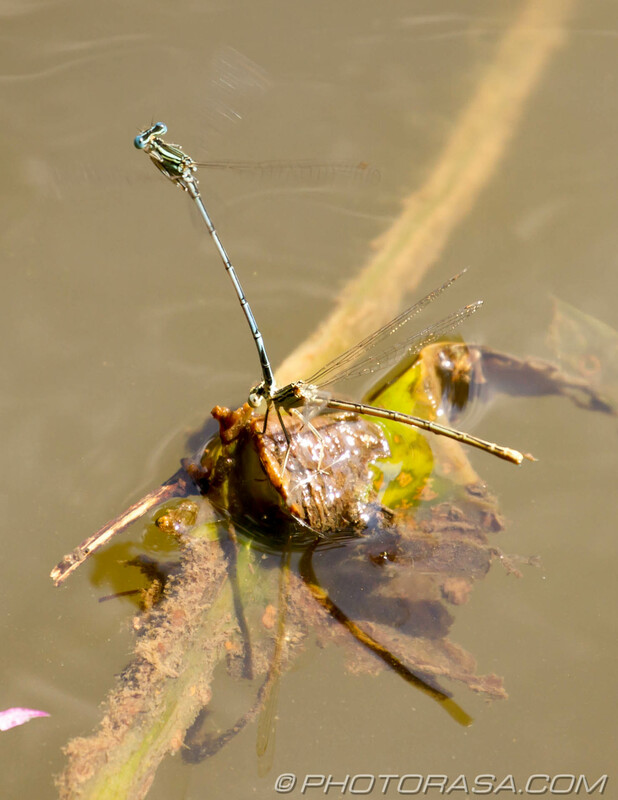 The nymph then undergoes metamorphosis, its skin peeling back to reveal the adult damselfly. 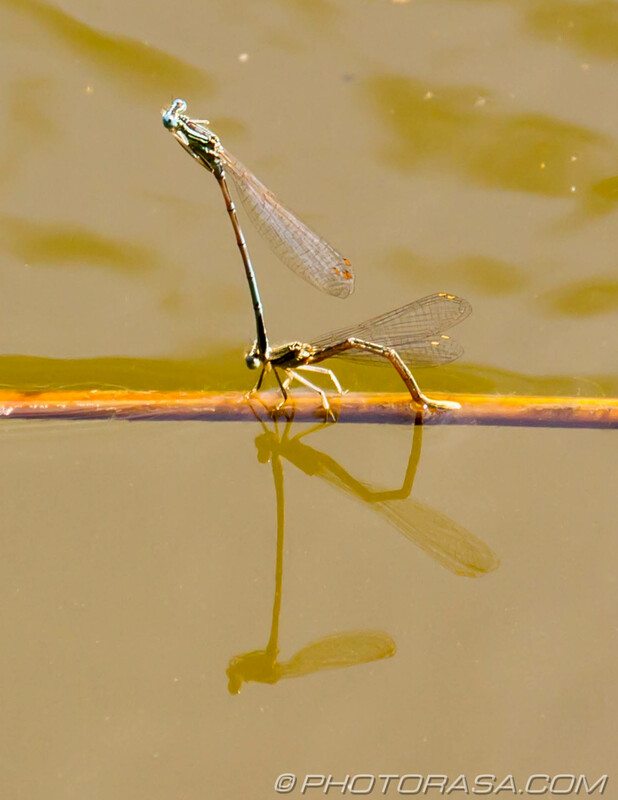 The growth of the young nymph and its transformation into an adult is a sensitive process and dependent on a good clean freshwater environment. 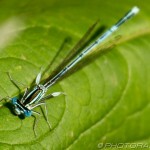 Damselflies therefore need a good ecosystem in which to breed. 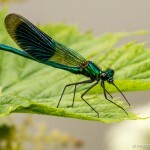 As a result of this their colonies can be very vulnerable to pollution and other adverse environmental changes.